Of the many benefits gutter guards and leaf screens provide for homeowners, health and safety top the list. Also known as gutter guards, they help guard against health concerns from standing water due to debris clogged in the gutters. Clogged debris slows or stops water flow thorough the downspout. Standing water is a breeding ground for various health hazards such as bacteria, mold and mosquitoes. Then when more rain comes this standing water becomes overflowing water over the sides of your gutters. Yuck! There are several kinds of gutter guards, brush guards, and leaf screens available. You want one that is durable and affordable. So forget about plastic vinyl. Because they are not durable at all. Go with a high quality metal such as aluminum. 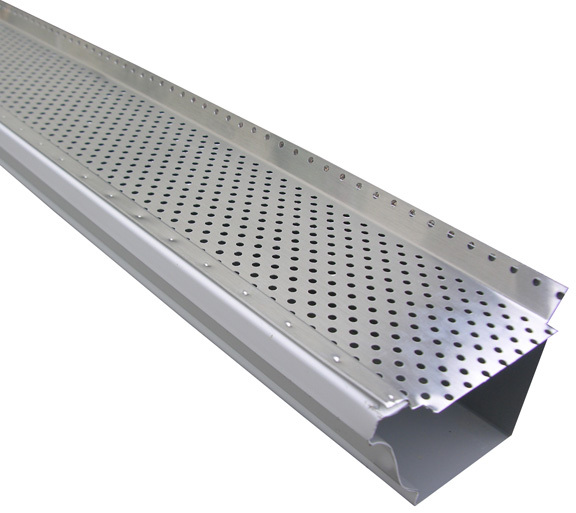 Aluminum gutter guards are good due to the material’s high weight to strength ratio and it’s resilience to a variety of weather conditions. Not only is aluminum durable it’s also remarkably affordable. They will last the life of your gutters. They can also be painted to match a home’s color scheme. The last thing you need is trying to unclog a downspout in a rain storm. Adding leaf screens to your rain gutters will assure you of year round protection from clogged downspouts, polluted standing water, and overflowing gutters. For more information read “6 Compelling Reasons Why You Should Have Gutter Covers and Leaf Screens”. Want a price quote on gutter guards and leaf screens? Call us! Service Areas: Carlsbad, San Marcos, Vista, Escondido, Oceanside and all other North San Diego County areas.